This verse is what I am praying this week. Provision. What does this mean to you? There are times in my life it meant being protected from an illness. At times it meant being able to pay all of the bills. There were moments it meant it has meant takin a leap of faith and trusting God was going to catch me. Through this process it means trust. Sure provision actually means that God will provide for us… but to me that starts with trust. I just spent some time with my girlfriends and they are sharing in the excitement of this journey. I must admit that it IS fun to be able to talk about this process in an “exciting” way instead of the “I can’t get my hopes up” kind of way. But the reality is– I have no answers to anyone’s questions. I’m excited and equally terrified at the thought of an infant. Same goes for toddler, tween, or teen. Excited and terrified. But this I know for the Bible tells me so… God will provide. He’s never failed me yet. 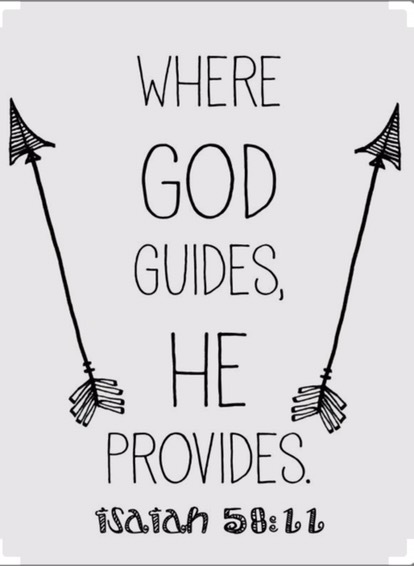 He’s provided everything we could ever need and more. He has given me a child without the help of my own body. He will do it again. And to all the questions that flood my head and heart (and I assure you there are plenty), I come back to trust… and provision.